This is one of the cars that I did during my last trip up in norcal/bay area in March to do some vinyl wraps. The owner came out to me to have the vinyl work done that I was doing in San Mateo at the Fatlace warehouse. For this dark metallic green BMW E92 328i sedan, I wrapped the roof and chrome window trim of his car in my gloss black vinyl material. 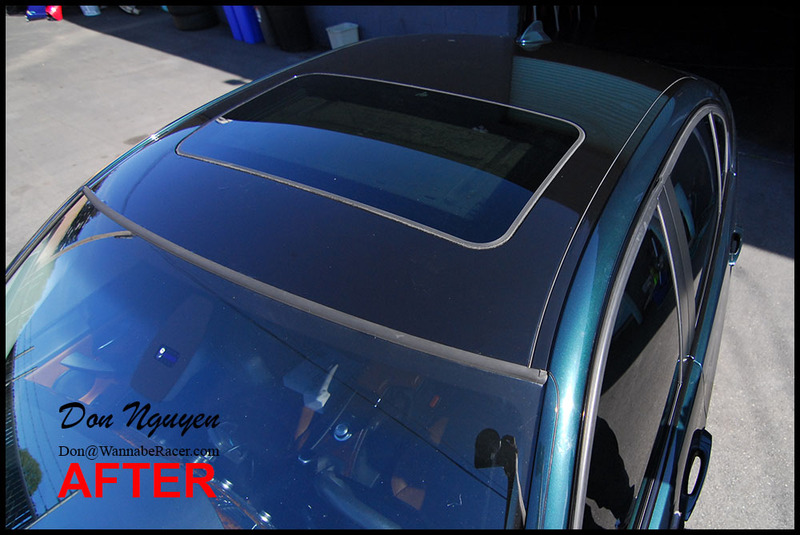 The gloss black roof is a subtle touch to this darker colored car. The chrome window trim on his car was fading and oxidizing, so the gloss black wrap really cleaned up the look of the car and hide the old faded chrome window trim pieces fairly well.